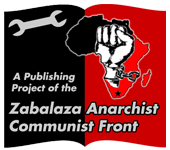 This article discusses the anarchist programme from a revolutionary anarchist perspective. In it, the author analyses the need to make a qualitative shift from an anarchism which is restricted to propaganda circles, to an anarchism with the possibility of social transformation, putting forward a few basic considerations for the necessity of the development of revolutionary programmes in order to facilitate this shift. Anarchists and the Trade Unions: Be active! be involved! Trade Unions are important organs of the working-class. Gregor Kerr – a member of the Irish National Teachers Organisation who has been involved in campaigns against “social partnership” and in many strike support groups – argues that trade union involvement should form a central part of the political activity of all anarchists. Militancy is revered on the left. Whether insurrectionary violence or mass militancy of social movements, the form and level of militancy serves as a marker of the relative power and progressive nature of a movement. Insurrectionists fetishize either mere acts alone (independently of who does them, groups or individuals) or fetishize violent acts as signs of collective will. Some social movement organizers take militancy to indicate a progressive or revolutionary nature of a movement. Looking at militancy and militant acts alone however is bound to be distorting and lead us down garden paths. A militant event occurs in a social context and through a social process, and these facts bare on the meaning of militancy as a historical phenomenon….